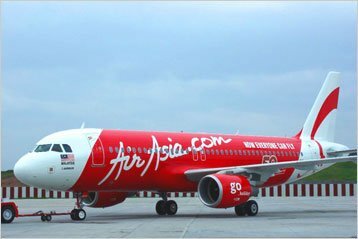 KUALA LUMPUR —AirAsia X is to launch four times weekly direct flights between Kuala Lumpur and Sapporo, Japan, on Oct. 1. “We are thrilled to expand our network to Japan with direct flights to Sapporo. We are happy to see our network growing from strength to strength and I am sure many Malaysians share the same excitement as us, as AirAsia X will be the only airline operating scheduled direct flights from Kuala Lumpur to this world class destination,” said Benyamin Ismail, acting chief executive officer of AirAsia X Berhad. Travellers will be able to make use of the optional Fly-Thru service to connect to flights via the AirAsia Group’s multiple transit hubs with their baggage checked-through to the final destination without the hassle of immigration clearance at the transit hub. With this optional service, passengers can travel seamlessly between all Asian and Australian cities, such as from Indonesia (Bandung, Bali, Jakarta, Medan, Kuala Namu, Surabaya), Singapore and Australia (Melbourne, Gold Coast, Sydney) to Sapporo through Kuala Lumpur, making this beautiful city in northern Japan just one stop away. AirAsia X Berhad currently flies from Kuala Lumpur to Japan with five weekly flights to Osaka and daily flights to Tokyo.